The Church is under attack. Ann Jones works to save her faith. James Crawford wants to protect her. blurb: In this action-packed thriller gunshots ring out as Ann Jones enters church. She hides in the bathroom until they stop then stumbles into the sanctuary. The congregation lies dead in pools of blood. To rebuild the church she starts True Light Guardians. At the first meeting she’s attacked by a terrorist but rescued by James Crawford. He melts her heart, cold from her father’s abuse, and they fall for each other. She’s afraid to commit to love that might grow angry later like the type she knew as a child. James yearns to stop other attempts on Ann’s life, but can’t. Tormented by her constant risks, he breaks up with her. 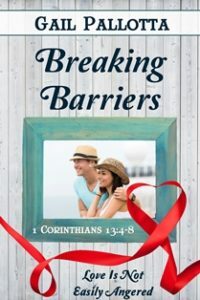 When an assault sends her to the hospital, an unlikely ally shares Ann’s plight with James, but he reveals a lead that puts all three of them in even more danger. Leave a comment for a free e-copy of Gail’s book.